There’s no doubt that today’s business world is more complex and competitive than ever before. More and more qualified candidates are fighting for fewer and fewer positions within companies, making it increasingly important that you find key ways to make yourself stand apart from the crowd. Having a complete and thorough understanding of the business you’re in and being able to show off that knowledge will help make you an invaluable asset to any company, placing you in a highly desirable position and ready to skyrocket your career. By investing in your own future and taking operations management classes, you’ll be able to give yourself the understanding you need to turn yourself into a key player. Here are just a few of the reasons why you should consider signing up for one of these important courses today. One of the most important traits for any business is good leadership, and companies are always on the lookout for employees who can inspire and guide their coworkers to success. When you take a quality operations management course, you can guarantee that one of the principal lessons you’ll be learning is how to lead your team successfully. This means that you’ll understand how to bring out the best in those around you, inspire them to work hard towards a common goal, and dedicate themselves to achieving the best possible outcome no matter what sort of conditions they face heading in. Another important skill you’ll learn in these courses will be how to perfectly manage supply and demand, as well as inventory. These are incredibly important skills to have, especially when working in a business that depends on being able to successfully work with suppliers and purveyors on a daily basis. By proving to your employers that you have the necessary understanding to manage everything that comes in and goes out of your business, you’ll be placing yourself in a great position for achieving your long term goals. 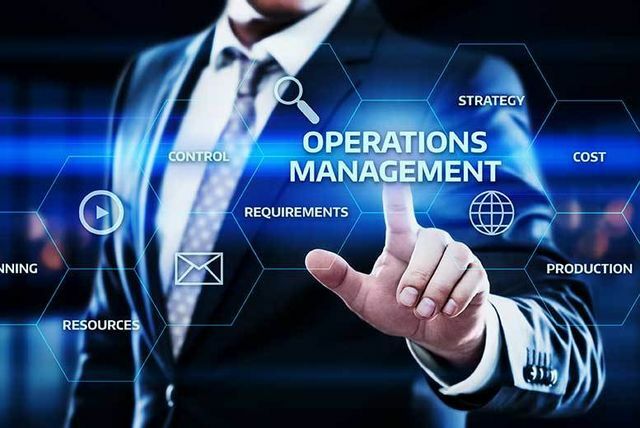 When you take an operations management seminar, you can rest assured knowing that you’ll be taught how to quickly identify the processes that go into the daily grind of your business so that you can not only provide yourself with extensive background knowledge, but also be on the lookout for errors and potential areas of improvement. Being able to pinpoint problems within the business and explore possible solutions will be a great way to make yourself stand out. When it comes to creating a successful career for yourself in business, things are more difficult than ever before. With so many qualified competitors looking to fight for the same position, finding a way to put yourself above the rest is essential. By taking a world-class management course, you can give yourself the skills you need to make yourself an invaluable member of any team. Keep these benefits in mind and find a course that interests you today.